CrownBio understands the need to improve drug discovery/development processes and shorten decision making timelines to enhance R&D productivity. We work closely with our clients to provide cell based screening with a swift turnaround and high quality data, to save precious resources and time. Our cell based screening platform is designed to enable better decision-making earlier in the drug development process. 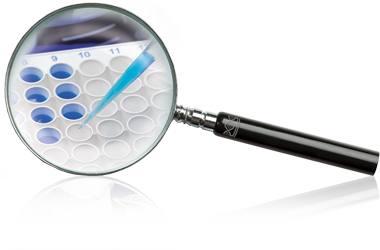 Equipped with technology such as the powerful IncuCyte® ZOOM platform for real time, quantitative live cell analysis, or the Acumen eX3 microplate cytometer for multiparameter phenotypic screening, CrownBio provides high quality cell based assay services using high content and high-throughput drug screening technology. Our experienced team of scientists has delivered hundreds of successful projects for many renowned Pharmaceutical and Biotech companies, providing services ranging from target validation, drug mechanism of action, assay development, high-throughput drug screening, indication selection, to biomarker discovery. CrownBio offers comprehensive cell based platforms and extensive tool sets to determine the biological functions of each target, as well as the consequence of pharmacological intervention to help in making go/no go decisions. Contact us today for free expert advice to support all your cell based screening needs.